Eleidgs will make your life more Beautiful! Applications: Suitable for halogen LED, CFL incandescent lamps, etc. 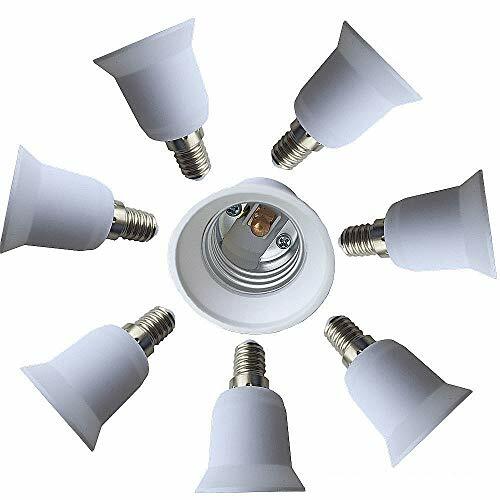 Aoolication: These adapters can be used to transforms your E14 fixture to fit standard the (E26 / E27) medium size bulb in any. They are not E12 base. Made from fire retardant PBT material, 120D heat resistant, they are non-flammable, no fire hazard. 100% Money Back Guarantee: To ensure the quality of our products. If there is any dissatisfaction, contact us and we can give you a refund or replace.